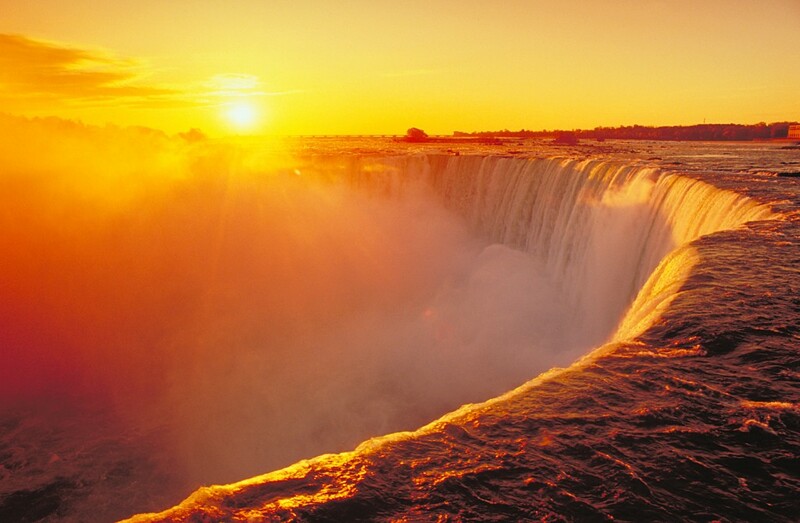 Self-proclaimed as the ‘Honeymoon Capital of the World’, Niagara Falls is split into two cities, one is in Ontario, Canada while the other is across the water in New York, USA. You can explore the majestic falls in several ways, including an observation tower, hiking trails and special viewing points to watch fireworks and light displays over the falls. The best spot is at Queen Victoria Park, located on the Canadian side of the river, which is also the ideal location from which to enjoy summer fireworks shows on Fridays and Sundays. Other activities include 15 miles of hiking trails, seasonal festivals, guided tours, clubs, bars, and even helicopter tours. Famous for its dramatic views, stunning sunsets, and naturally beautiful beaches, Santorini is a volcanic island in Greece that should be on every traveler’s must-go list. The main attraction here is fairly straightforward: the landscape. From still smoking volcanic islands surrounding the caldera, to steep, dramatic cliffs, and the contrast of whitewashed buildings against the piercing blue Aegean sea, it’s no wonder Santorini is one of the most photographed places in the world. Several villages in Santorini, such as Fira (pictured above), as well as Firostefani are best known for their unique views of the volcano, while Oia is probably the most charming place on the island. When you’re ready to move on from simply staring in awe at the natural beauty, you can hike along the caldera from Fira to Oia, go horseback riding, scuba diving and snorkeling, and if you’re lucky, host your wedding here. 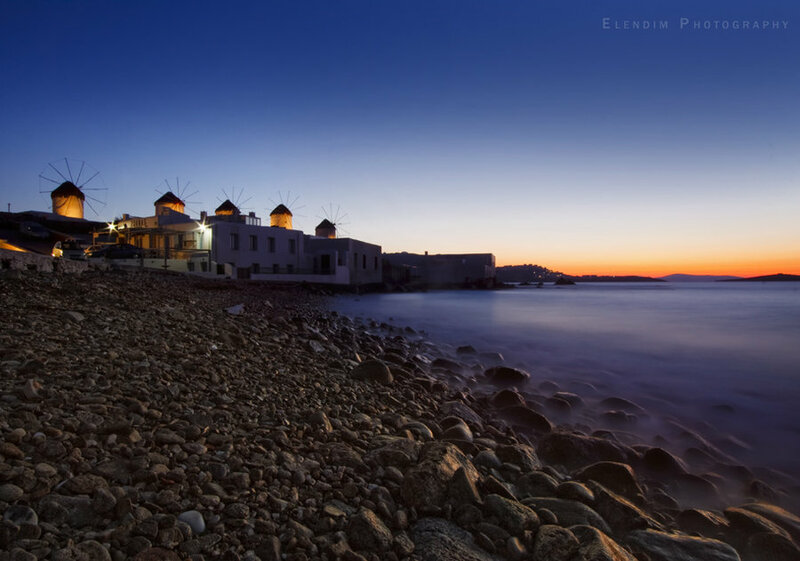 Mykonos, a Greek island located in the middle of the Aegean Sea, is best known for its cosmopolitan nightlife and gay-friendly attractions and beaches. Although more expensive than the other Greek isles, Mykonos is worth every penny. Whether you’re an urbanite or a naturalist, you won’t be disappointed. 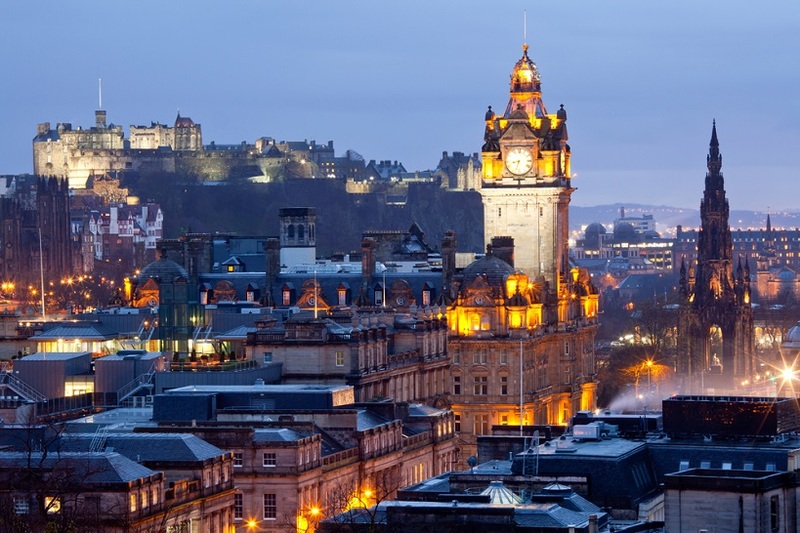 City-lovers will find no shortage of posh hotels, clubs and restaurants, with a wide variety of dining options to a range of tastes and budgets. 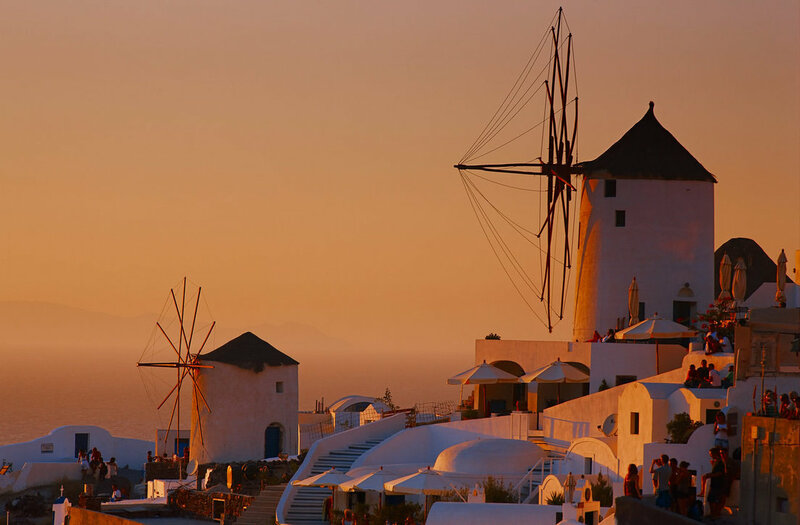 Those seeking a history lesson can visit windmills from the 16th century, the medieval district of Little Venice, an impressive church dating back to 1425 (Panagia Paraportiani), and museums filled with folklore and cultural artifacts. And of course, the beaches—the best are considered to be on the south side of the island, but all are quite beautiful. Known around the world for its casinos, fabulous shows, elaborately themed mega-hotels, and legendary nightclubs, the lights in Las Vegas never turn off. Despite being set in hot and dry climate of the Nevada desert, this city is never short on refreshments to quench your thirst or air-conditioning and pools to cool you off. 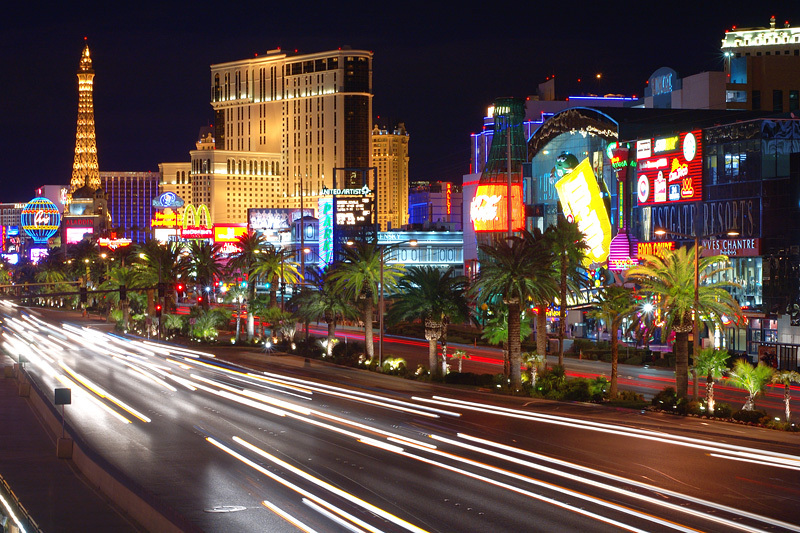 The best way to enjoy lavish Las Vegas is on foot, so you can avoid being stuck in its regularly bad traffic. Be sure to check out the internationally acclaimed Cirque du Soleil, the roller coaster ride at New York New York, SkyJump at Stratosphere, and various comedy and magic shows located throughout ‘the Strip’. If you still have energy, you can even explore the beautiful red rock country right outside the city—hiking, rock climbing, jeep tours and mountain biking are very popular, and a great way to spend the day before setting out on the town for a memorable night. No trip to India is complete without a visit to the majestic Taj Mahal, a mausoleum built for emperor Shah Jahan’s favorite wife. 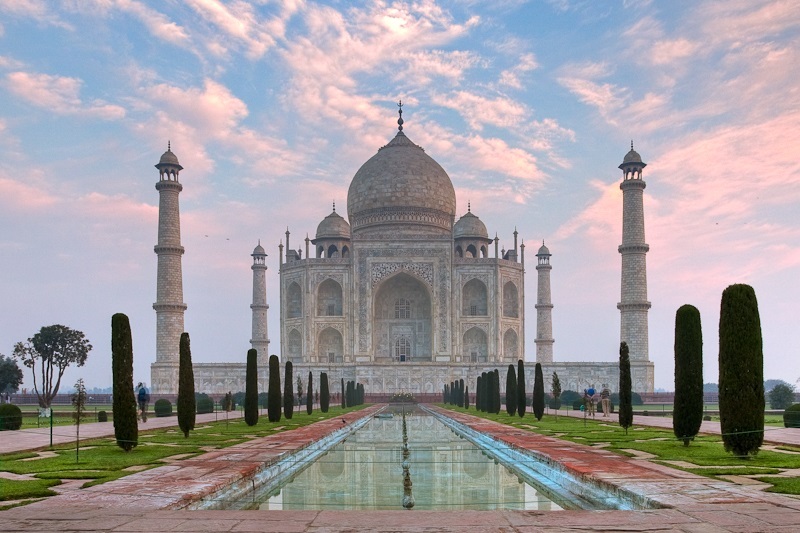 Located in Agra, India, the Taj Mahal is one of the most well-preserved and architecturally stunning tombs in the world, with reflecting pools and extensive ornamental gardens surrounding its reflective stone walls. It goes without question that it is one of the New Seven Wonders of the World, but don’t take our word for it. Walk the grounds, laid out with superior symmetry and aesthetic inspiration, to enjoy its gardens, archways and intricate stonework. The delicate arabesques and precious stone inlays juxtaposed with the changing colors of the day are so exquisite they often appear fake, making it clear just how dearly Shah Jahan loved Mumtaz Mahal. 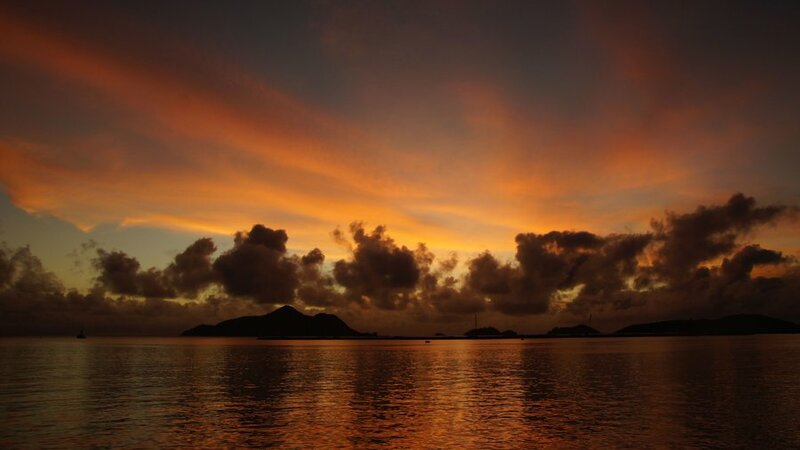 This dreamlike setting might seem like a paradise reserved for the elite few, but the seductive Seychelles welcome all travelers. An archipelago of 115 islands lying off the coast of Madagascar, the Seychelles are home to some of the most sublime beaches on the planet. While it’s certainly a top choice for a luxurious honeymoon, the reasons to visit this Indian Ocean jewel don’t stop there—watersports and land-based recreation activities are also a main draw for tourists. The world’s largest coral atoll is in the Seychelles, home to tiger sharks, mantra rays, and giant tortoises, and the diving opportunities are unbeatable. Out of the water, you can explore nature reserves full of exotic birds, go horseback riding, or relax and learn on a glass-bottom boat tour. Amidst the lush mountains and glittering sea, on a stretch of beach all to yourself, you may find it difficult to imagine ever returning home. 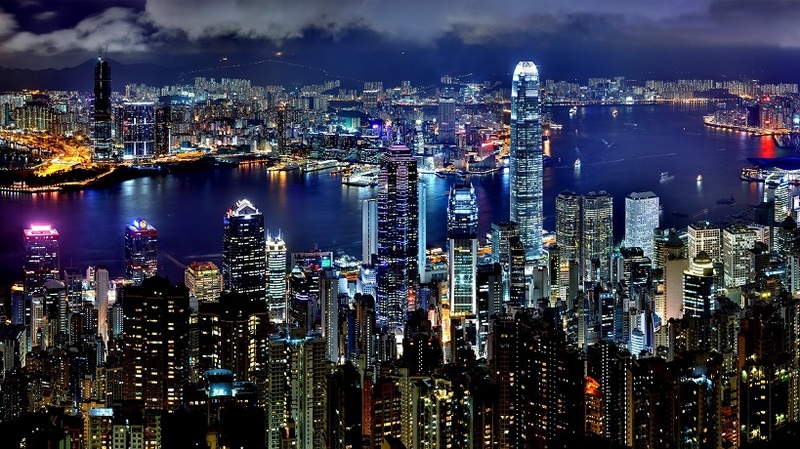 Hong Kong is one of the Special Administrated Regions of the Republic of China, and is one of the most densely populated cities in the world. CNN recently rated Hong Kong the number one skyline in the world, being picture perfect during both night and day. But people don’t come to Hong Kong just for the scenery, there are many attractions that draw people there. For those of you looking to have fun with the family, some places to consider are Ocean Park or Jumpin Gym USA. They’re the top attractions in Hong Kong for fun and games. However, if you’re looking to do something more outdoorsy, you can climb the Dragon’s Back hiking trail or go relax in the Nian Lian Garden. There are so many things to do in Hong Kong that it would be impossible to list every single thing, it’s something you have to see for yourself. If you’re looking to take the best skyline pictures in the world, this is the place to go, and while you’re at it you can have tons of fun too. “One Emirates, many peoples”, goes the saying about Dubai, a desert city in the United Arab Emirates that has turned from a quiet fishing village into a growing tourist destination. 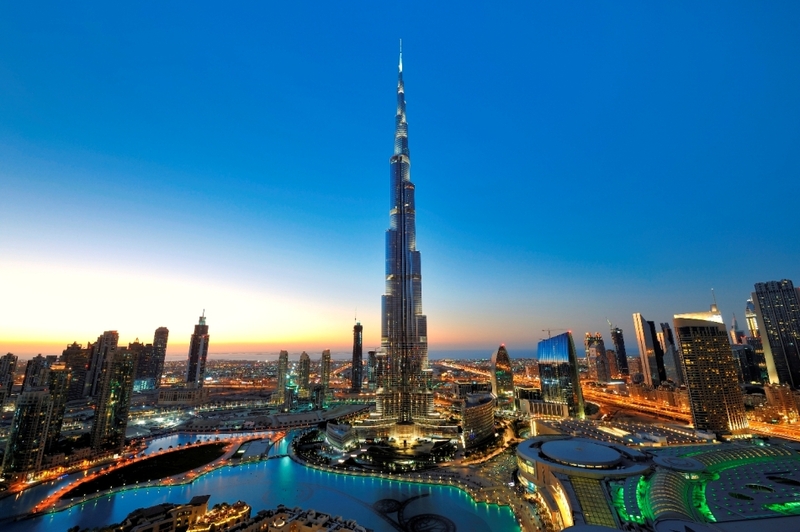 Dubai is ideal for anyone who loves shopping, partying, sunbathing, fine dining, and sporting events. Split into Old Dubai and Modern Dubai, attractions and landmarks are numerous in each area, including the Dubai Museum, souks (markets), the Dubai Fountain and Burj Khalifa—the tallest building in the world. During winter, camel races are held every Thursdays and Fridays, and throughout the year, you can ski or snowboard on a manmade slope inside the Dubai Mall. For outdoor thrills, visit the beaches, parks or sand dunes of the surrounding desert. If you have only 24 hours or less, the best thing to do in Dubai is shop. From the largest mall in the world, to historic souks filled with spices, textiles and jewelry, you can hunt for bargains to your heart’s content. The Great Wall of China is the only work of human hands that can be seen from the moon. 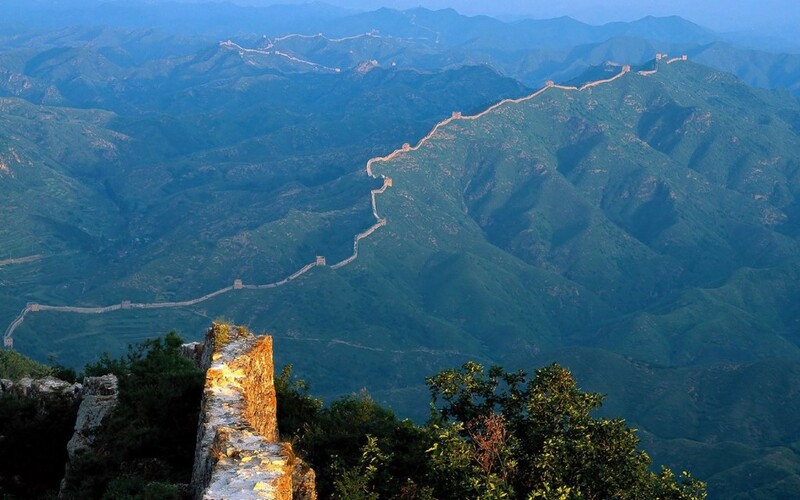 Once critical to ancient Chinese rulers as a means of defense against invasion, the Great Wall now stands as a record of history spanning more than 20,000 kilometers from east to west. Tourists can visit from multiple locations, the most popular site located in Beijing. Along its length, the geography and environment range from mountains to grasslands and desert plateaus. Among these shifting habitats live many different species of wildlife, including the rare Siberian tiger and Giant Pandas, cranes and Sitka deers—you never know what you might see on a given day. Depending on where you enter the wall, you can hike, ride up on a cable car (the hills are very steep! ), visit caves containing rock art, see Genghis Khan’s Palace, and even ride a toboggan back down. With so many options, working the Great Wall into your China itinerary is easily done and well worth it. 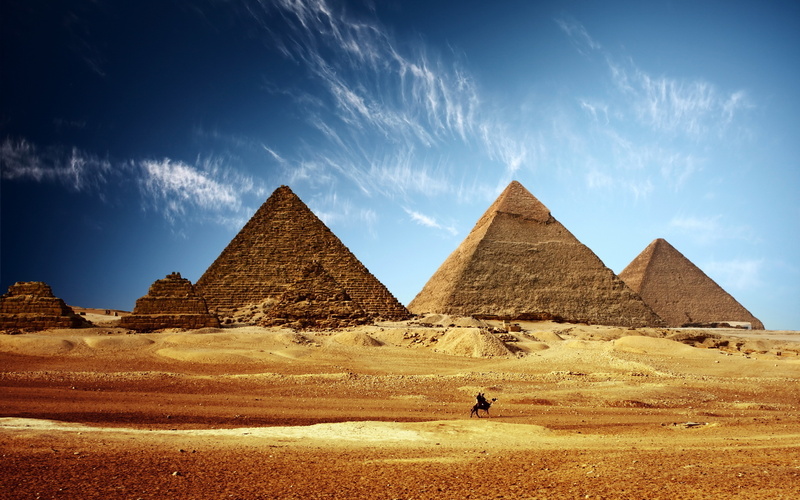 Each of the 2.3 million stone blocks that make up the Great Pyramids in Giza weighs, on average, around 2 tons. The seventh of the Seven Wonders of the Ancient World, the pyramids of Giza are the iconic image of Egypt, along with the Sphinx. Seeing them during a trip to Egypt is a must. Even if ancient Egyptian history is not your thing, their size and symmetry will astound you, both from a distance and up close. To enjoy the pyramids, you can tour the area on camel or horseback, watch a sound and light show reflected on their exterior, and of course, explore the colossal monuments inside and out. The megalopolis of Cairo that emerges from the eastern edges of Giza continues to change and grow with each decade, but these symbols of Pharaonic times remain steadfast—don’t miss them.